Sharanish (Syriac: ܫܪܢܘܫ), is an Assyrian village located in the Dohuk Governorate close to the borders with Turkey. The village is inhabited by Assyrians who belong to the Chaldean Church and the Assyrian Church of the East. The region is known for its cool weather during the summer, making it one of the most important tourist destinations in Iraq. The village has two churches, one of which was originally a synagogue before the advent of Christianity in the fourth century. Most of its population escaped the Assyrian Genocide by marching with Agha Petros to Urmia during the First World War. 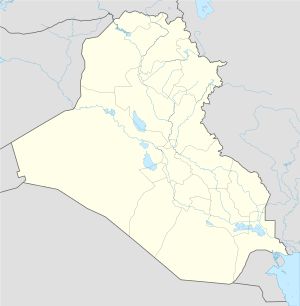 The continuous Kurdish revolts during the 20th century forced most of its inhabitants to flee to Baghdad, and by the 1980s, the village was completely destroyed by the Iraqi Army. After the Iraq War, many of its inhabitants returned from Baghdad and Mosul due to a waves of violence against Assyrians.